Coconut Almond Caramel Corn aka How to Woo Your Hair Stylist/Mail Carrier/Preschool Teacher/Boss/Neighbor. It is to be used when you really want to change someone’s mind about you…like WHOA!! He/She is AWESOME. I’m pretty sure you already are, but giving people delicious Caramel Corn can take your awesome status to a whole new level. Have you ever tried something that made you speechless? This is the case with this recipe. 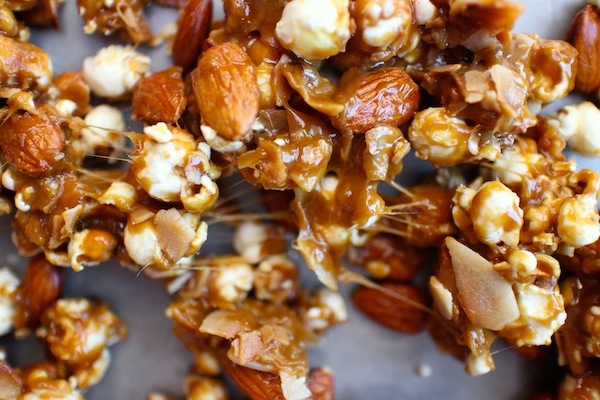 Crunchy popcorn meets crunchy toasted coconut meets roasted salted almonds meets caramel OMG. 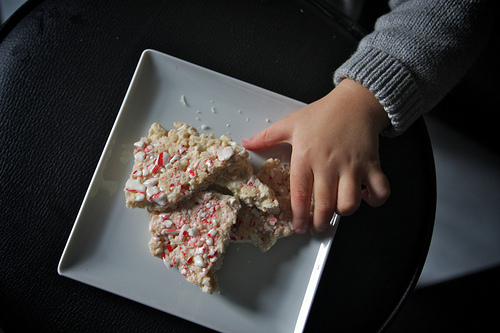 Light, buttery, salty toffee-like amazingness. 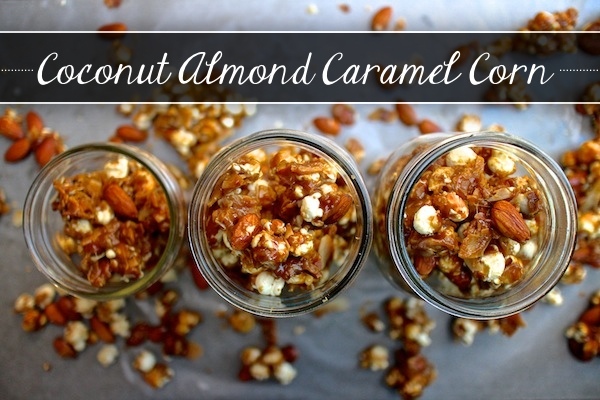 And to think I was super impressed/dang proud of my Caramel Croutons…these might be my new favorite… I have visions of topping dulce de leche ice cream with crunched up bits of this Coconut Almond Caramel. Excuse me while I dream…BIG. Ingredient gathering. Not pictured: Salt. I seem to always forget to put it in ingredient shots. First we want to toast our coconut. In the oven it goes at 350F for about 5 minutes. We have got to pop some popcorn! Set the popcorn aside. Sprinkle it with salt. We gather all the fun stuff together. 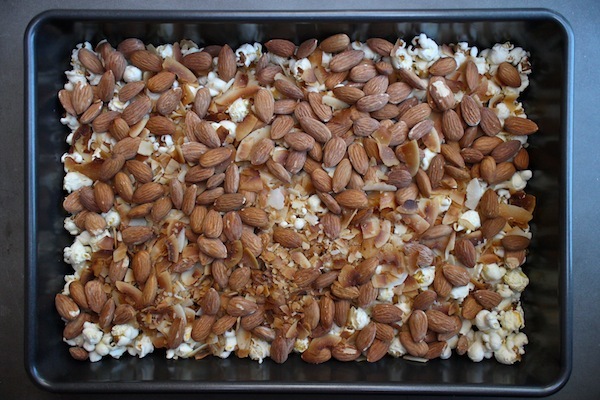 Spread the popcorn, almonds & toasted coconut out on the baking sheet. 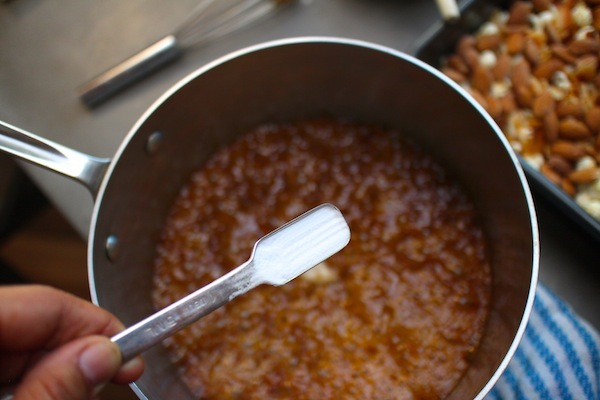 When the caramel is done…add the baking soda. BOOM. 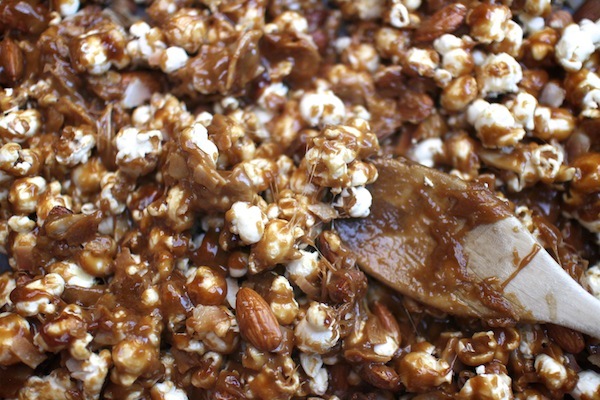 Pour the caramel on top of the popcorn mixture. STIR. Keep stirring. Evenly coat it. Now it’s ready to go into the oven. This makes the popcorn extra crispy! 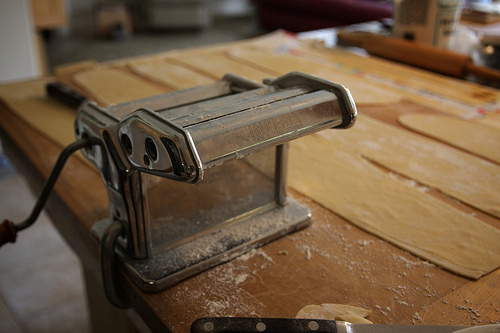 After a few intervals of baking/stirring we spread it out on waxed paper to cool. My advice to you is to seal them up once they’re cool! In a large pan over medium-high heat, warm oil. 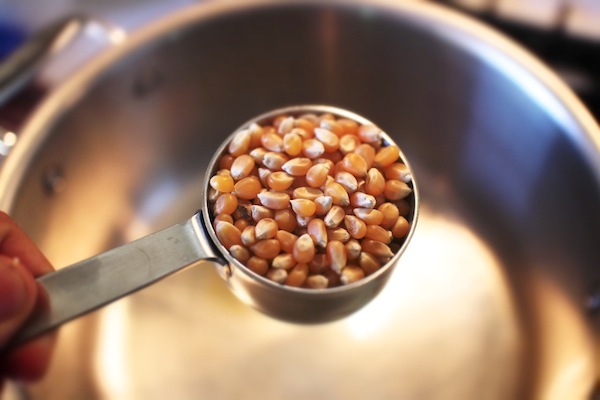 Add the corn kernels and place a lid, slightly ajar, over the pot. Pop the popcorn until the popping sound subsides. Turn off the heat, carefully pour the hot popcorn into a large bowl and sprinkle with the salt. 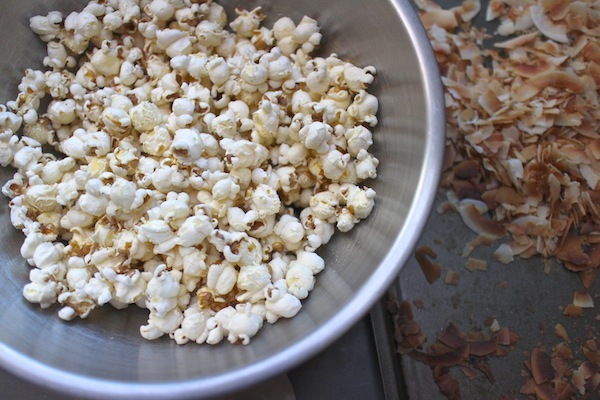 In a 9×13 pan, measure 7 heaping cups of popcorn, being sure to avoid any unpopped kernels. 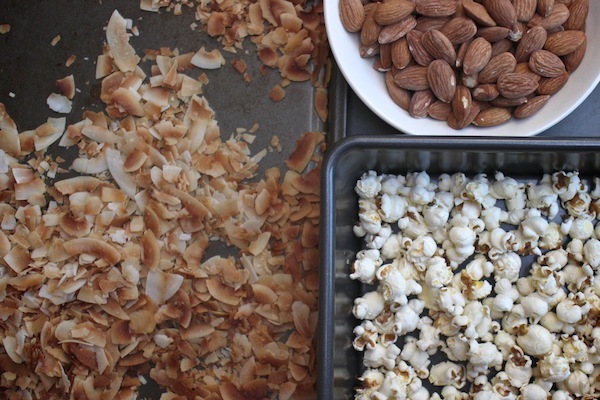 Top popcorn with almonds & toasted coconut. Set aside. Place a rack in the center of the oven and preheat to 200F. Combine butter, brown sugar, corn syrup and salt in a medium, heavy-bottomed saucepan. Carefully whisk the mixture as it heats and the sugar melts. 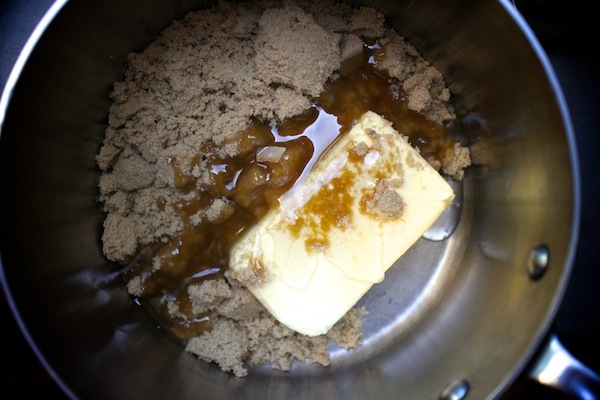 Boil the sugar and butter mixture for 5 minutes. 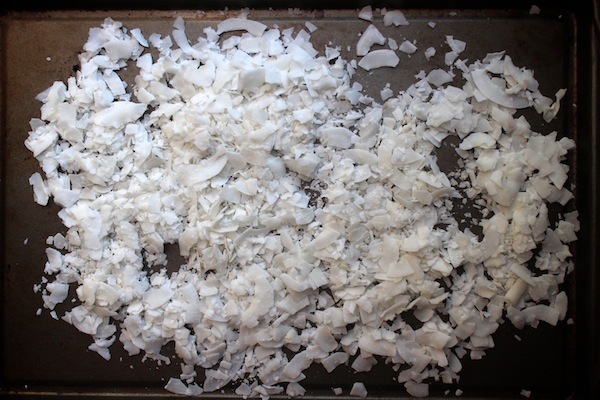 Remove from heat and add baking soda. Whisk well. Carefully pour the sugar mixture into the 9 x 13 inch pan over the popcorn mixture. Use a large wooden spoon to toss the two together making sure that every bit of the popcorn mixture is coated with caramel. Be careful not to touch mixture with your hands, as it could burn you. Place pan in the oven and bake for 30 minutes, removing the pan to toss every 10 minutes. Once baked, remove from oven. Carefully spoon onto sheets of waxed paper to dry. Once dry, store in an airtight container. Popcorn will last for up to one week. Why have I never made this out of Joy’s book?! You just brought this recipe to life because for some reason, I didn’t notice it. You made me take notice; gorgeous images. And I’m feeling so snacky right now! Pinned! It’s adapted from the EVERYTHING CARAMEL CORN. It’s BONKERS. OMG….off to buy corn syrup and coconut flakes! See ya! I haven’t wanted popcorn this bad until i read your post!! I think this should actually be called “How to Woo your food bloggers so they never ever leave!” Not that we ever would 😉 BUT WOW I just want to pull that gooey caramel corn apart and crunch crunch crunch! NO SUGAR FOR EIGHT WEEKS?!! You are a saint. Haha, I wish! I eat way too much sugar, so this is a radical approach to change it, because eating only a little sugar just doesn´t work for me, if you know what I mean?! I am at the end of week two and so far so good…but I still have 6 long weeks to go. Oh why are you doing this to me, torture!! I want this right now, please and thank you! 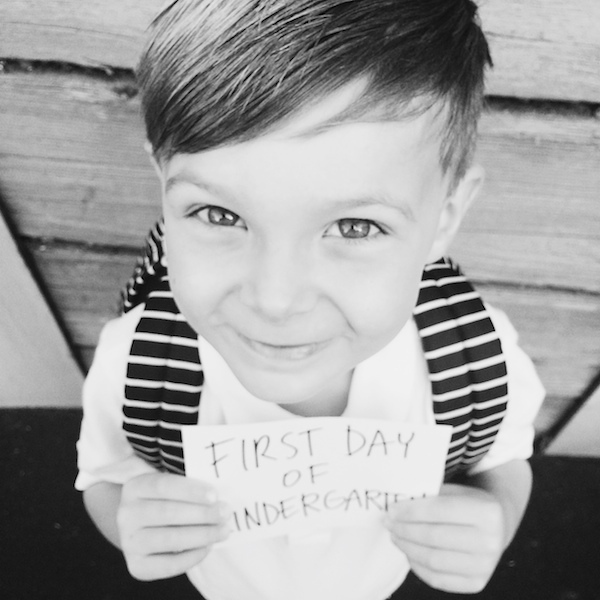 Love your photos in this, especially the top two – amazing! The shot of the caramel with baking soda in it reminds me of making hokey pokey (honeycomb toffee) growing up in New Zealand – that’s a mixture of brown sugar, golden syrup & baking soda & it has a similar reaction to your caramel. Hokey pokey is amazing broken up into vanilla icecream – so I’ll join your big dreams & try this over some icecream too! It’s like Violet Crumble, huh? I love that stuff! Yeah, like Violet Crumble, yum! I might have to try making a fancied-up version of that after I’ve made this. 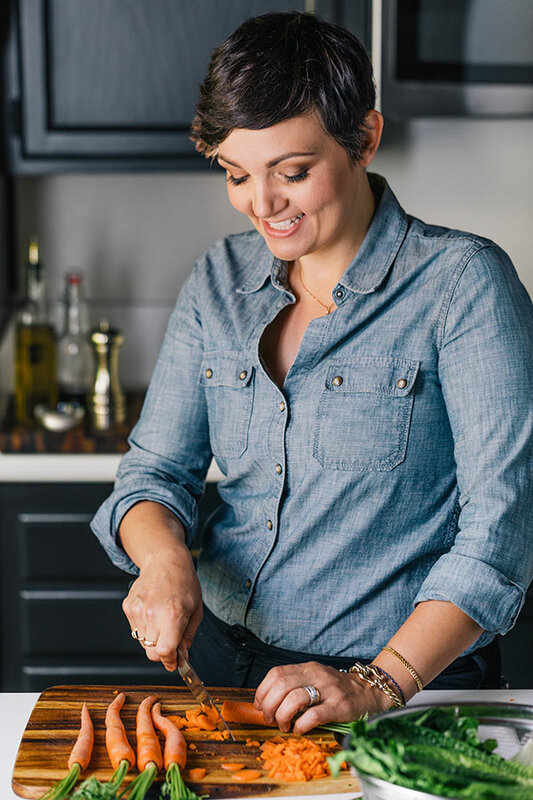 This has been in Joy’s cookbook the whole time?! And I’ve just let it sit there not realizing this?!?! LOVE!!! this looks so freaking delicious! Holy cow. Just wow. 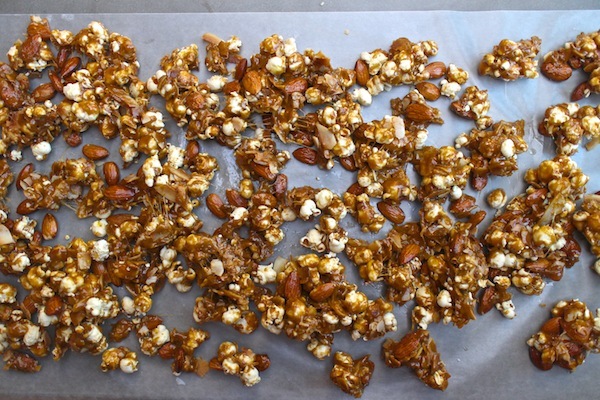 I have been using orangette’s recipe for caramel corn for the last three or four years, but ALMONDS AND COCONUT? um, I’m in. 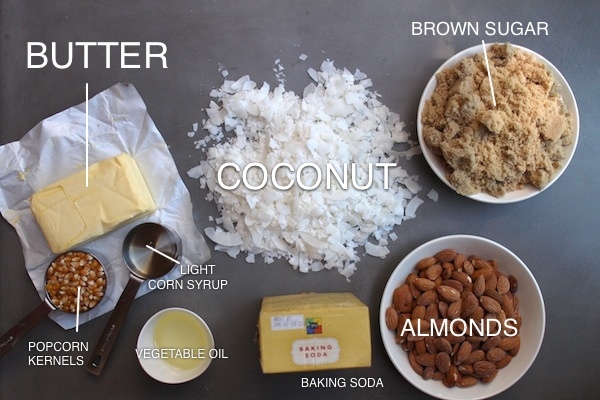 My mom loves the combination of coconut, nuts and caramel; I’m going to make a batch of this for her for Mother’s Day. Thank you! I could eat a mason jar of that in one sitting. 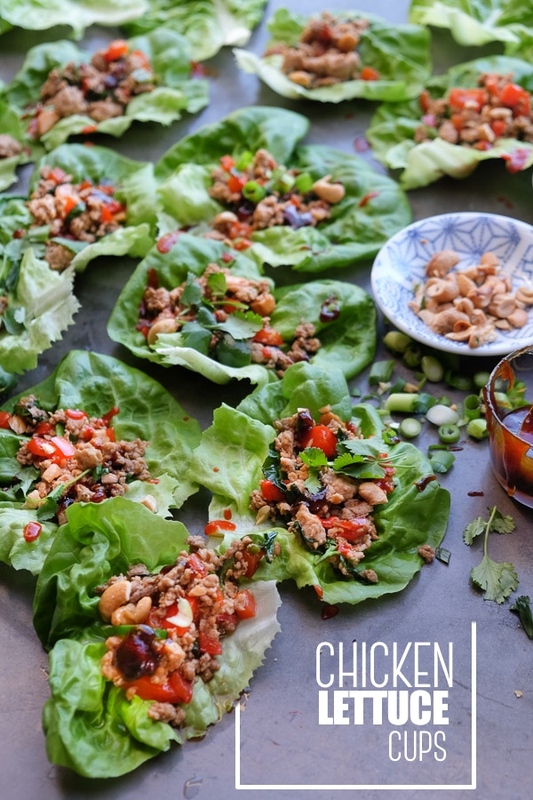 This recipe just went on my to do list! The crunch factor sounds amazing! I would have to hid jars from myself to keep myself from eating it all! Yeah like whoa!! I forgive you for the salt because seeing all your pictures, the cooking process & your words is just such a pleasure. Thanks! It looks so yummy. Have to try it! 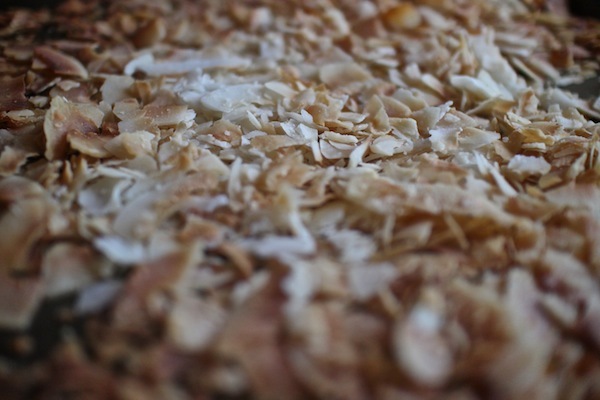 From where do you get these coconut flakes? 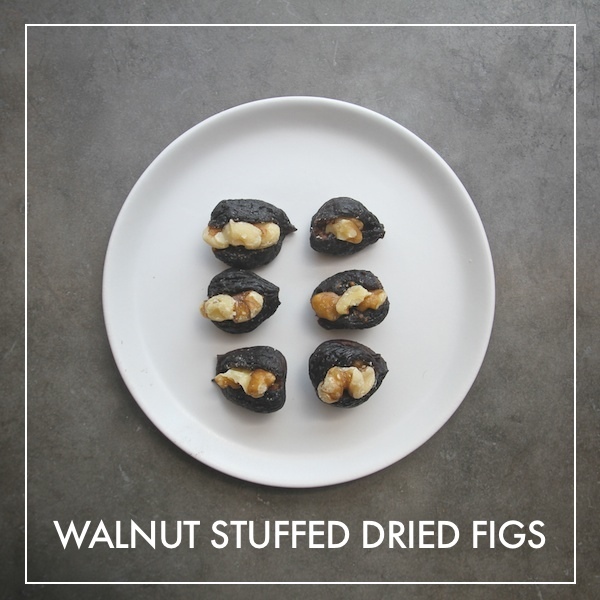 I got them in the bulk section of Whole Foods. But I suppose any bulk section/natural grocery store could have them. Uh, how did I forget about this recipe in her book?! Silly me. Thanks for the delicious reminder! I’m going to make it as “Convincing My Boss to Let Me Go From Working 2 Days a Week at Home to 3 Days a Week at Home” Coconut Almond Caramel Corn. Yum! I’m about to make Joy’s chocolate chip cookies (again). I still need to try this one! oh my lord this is just heavenly good looking stuff! Thx sis I now know what to give all the teachers/aids at Henry’s school for end of the year treats!!!! Consider me woo-ed. And I haven’t even tasted it yet! I am in such big trouble after reading this recipe. 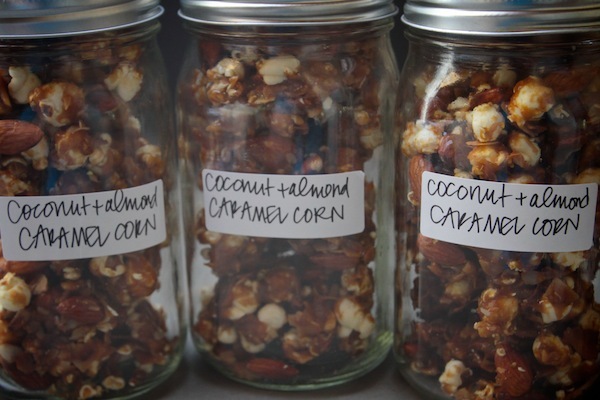 Popcorn is my favorite food and now you’ve added my other fav’s-coconut, almonds and caramel. 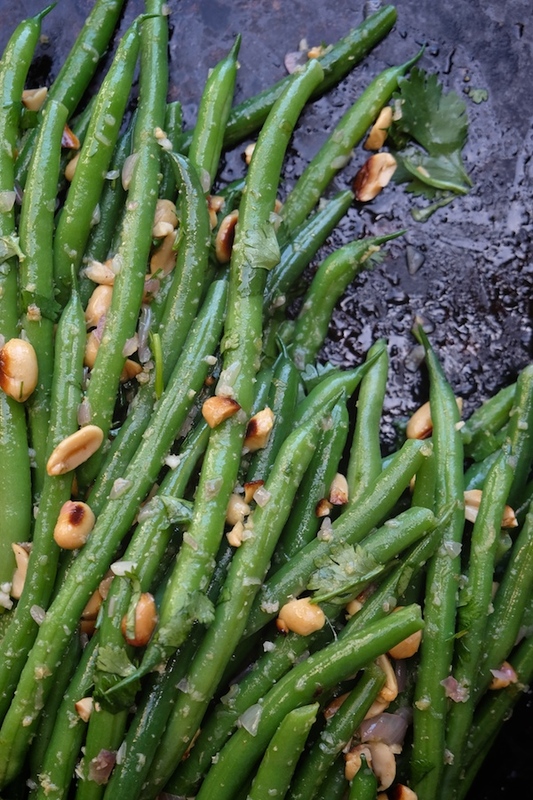 Were the dry roasted almonds salted or not? WHY did I click over here knowing full well you had something super delicious and dinner is still an hour or so away???!!! This looks insane!! Oh. Mahgoodness. 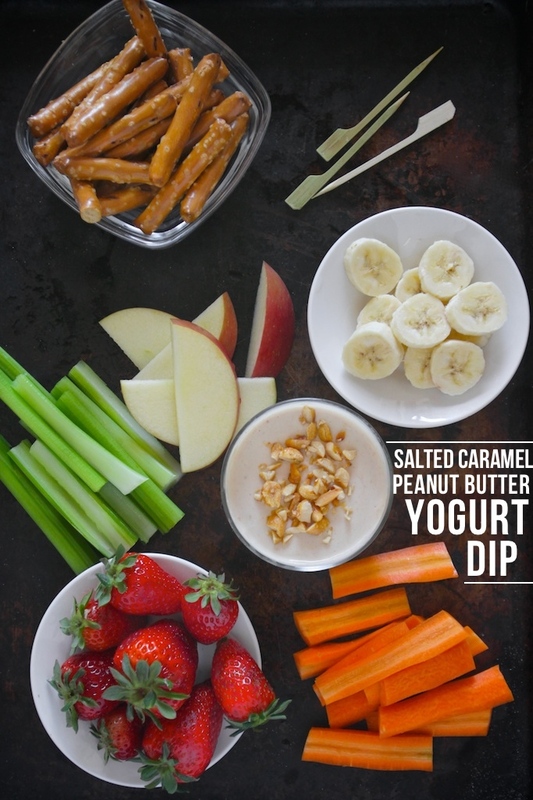 Definitely pinning this for a weekend treat! 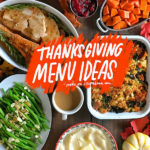 this recipe brought tears to my eyes because i thought there is no way in hell i can make that dairy free. i was wrong. i am totally subbing the butter with earth balance and calling it a day. This is a game changer! I can top ANYTHING with this and get away with it. 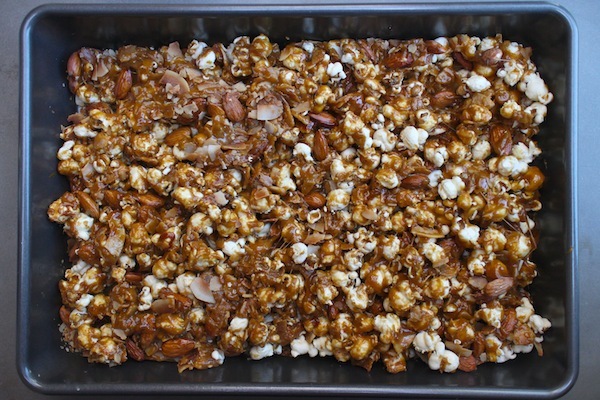 I haven’t had much success, honestly, with caramel corn because the popcorn always just turns soggy. Really sad. But if I succeed in this, I’ll probably use it to earn points with “certain” people. heh.. 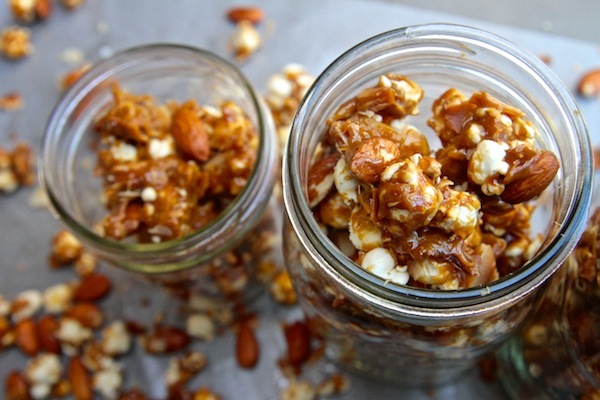 I am totally going to try this with my microwave caramel corn. What a great variation! Start it up Start it up!!!!!!!! HOLY schmolee! 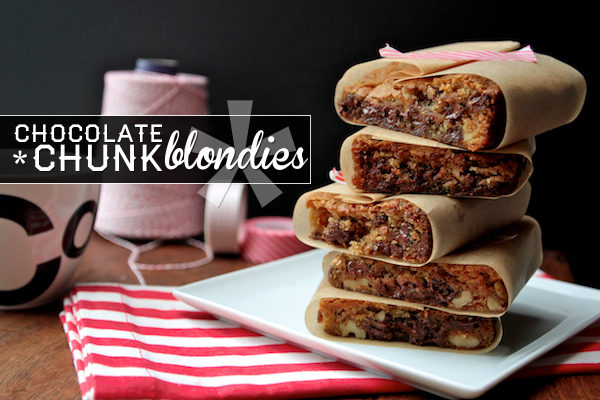 you had me at “coconut almond”. can’t wait to make this. Oh man Tracy! I did not need to know how easy it was to make caramel corn–this is gonna be dangerous/delicious. Keep dreaming big Tracy!!! This is the stuff MY dreams are made of! Holy crunchy goodness! One thing I changed was mixing the whole thing in a very large bowl to avoid mess, then put in 9×13 for baking. Came out perfect, thanks for sharing! 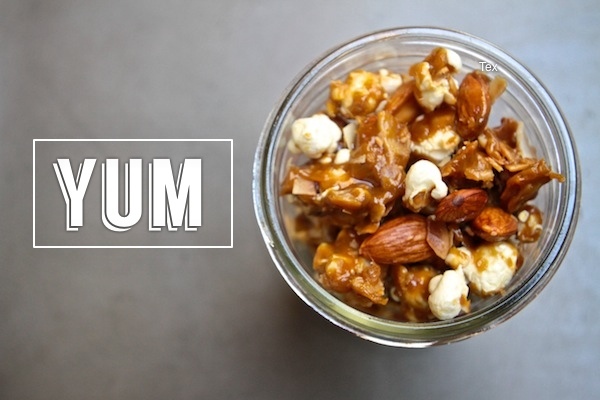 I’m on a popcorn kick right now so this recipe is PERFECT for my happiness. Thanks so much for bringing this to my house. The scary part is that it lasted about 10 minutes. What a delicious recipe! stop it. this is the most amazing this I’ve seen all day. 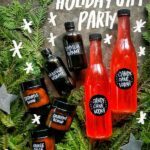 This looks amazeballs! Can’t wait to make it. totally amazeballs! GET ON IT. Wow! This is indeed heavenly! Those pictures are crisp and enticing. 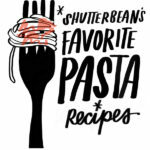 Congratulations Shutter bean! I’m a fan now! I should’ve seen your site years before. I loved the crispiness of the popcorn yet the creamy sense that the caramel gives. In my case, when I tried it, it didn’t become so hard that it can’t be bitten anymore. 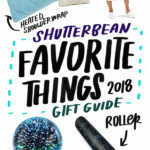 Thanks for sharing this and the idea of selling it to my friends as well! P.S. It’s a great ice cream topper TOO! i’m planning on making this for my sister’s bridal shower to give away to the guests as a little party favor. 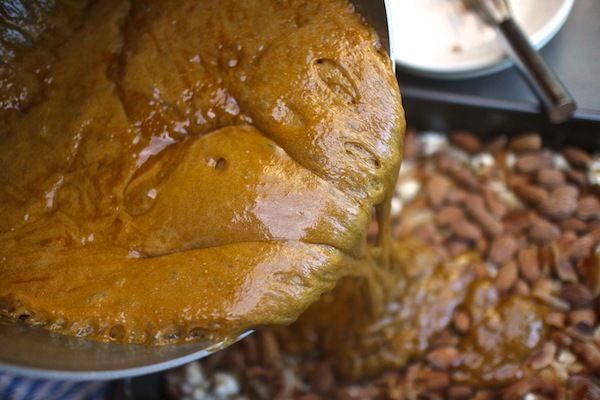 i’ve never made my own caramel before and am a little nervous but this looks too good not to try!